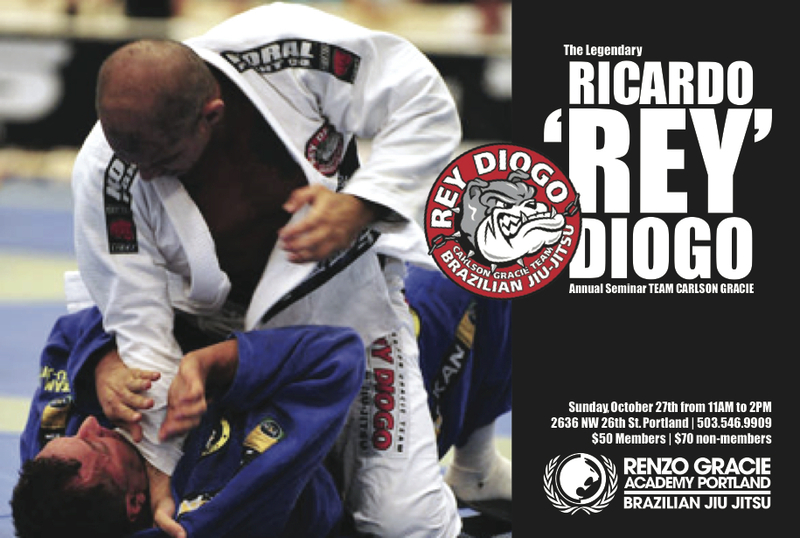 Ricardo ‘Rey’ Diogo Seminar Sunday, October 27th from 11AM to 2PM. Rey is a legend of the sport and a part of the infamous Carlson Gracie Team. $50 for members, $70 for non-members. BBQ to follow the seminar. Do yourself a favor, don’t miss this one.